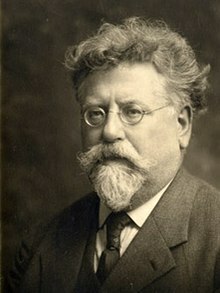 The book Anarcho-Syndicalism: Theory and Practice by Rudolf Rocker is a fantastic read for the politically inclined interested in other forms of societal organization. Anarcho-Syndicalism is the idea that labor unions and workplace councils can be used to determine how workplaces would function. Hypothetically, these organizations would use their power through democratic consensus via the employees’ input. The book talks about Anarchism and how it functions, the history of the modern labor union, Anarcho-Syndicalism’s objectives, the methods it uses to achieve said goals, and the movements evolution. Anarchism is the idea that authoritarian government should be abolished and replaced with a cooperative society that focuses on meeting all people’s needs, which is explained in more detail in the first chapter. In chapters two and three, the history of labor in the United States and Europe is described in great detail, starting in the 1800s through the mid 1900s. Chapters four through six offer an interesting picture of the organization and functionality of society under Anarcho-Syndicalism. The theory of Anarcho-Syndicalism operates under the idea that the workplace should be collectivized by the workers. This means that the workers would get rid of their boss(es) and democratically decide through voting procedures how to operate the workplace. An example of this functioning would be voting on hours of operations, on how much of a product should be produced, on how to distribute said product, etc. This theory has been tried in many different places around the world, but the two main societies that were successful in the implementation of AnSyn are the Paris Commune and Revolutionary Spain. While both of said societies are no longer in existence due to the invasions by imperialist powers, their economies worked and were able to meet the demands of the populations they had to serve. The book also goes into detail about how various labor unions and organizations have been able to unite hundreds of thousands of workers to fight the capitalist class, hence showing the large scale of the labor movement in the beginning of the modern industrial societies. The book mentions the outrage in England with the passage of the combination acts, which outlawed the formation of unions and labor organizations. While much of the history spoken of is centered around the 19th through the early 20th century, the book remains relevant due to the enduring issue of the labor force being repressed under the state of capitalism. This book offers guidance on building comradery amongst the working class as well as on protecting workplaces, learning institutions, housing complexes, and urban neighborhoods. The record of each movement’s successes and failures offers lessons on how to fight for better working, living, and learning conditions. While this book is not for everyone, it is a great read for those who are interested in the history of the struggles of the labor force throughout the centuries.